With just 11 days until the launch of the Anthem of the Seas, we turn our attention to the on-board entertainment – in particular the live shows which are to be performed on the ship during her maiden season on the seas. 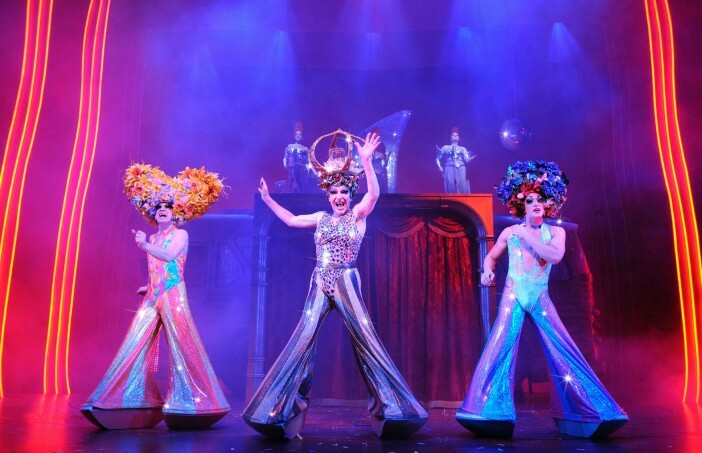 Royal Caribbean have long been advocates of providing entertainment of the highest quality aboard their ships and the performances aboard the Anthem of the Seas will be no different – with more in common with the high budget shows found on Broadway and the West End than Christmas time pantomime performed in local Civic Halls. 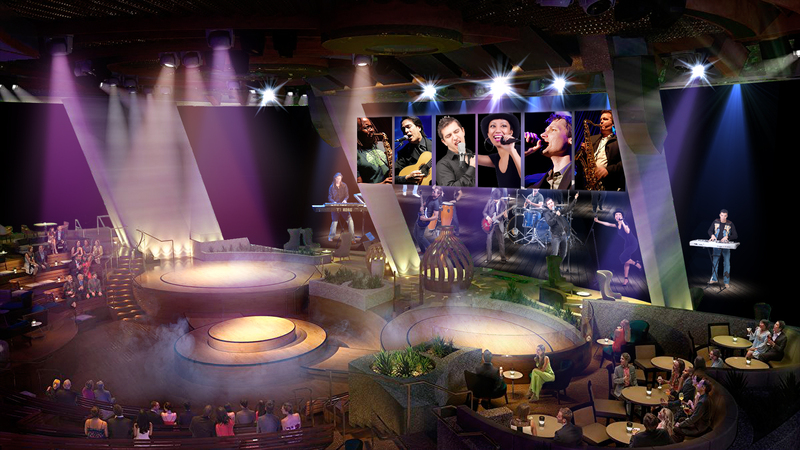 There are currently three shows announced for the two entertainment venues aboard the Anthem of the Seas, the Royal Theatre at the front of the ship and the Two70 Lounge in the rear. The big name production aboard the Anthem of the Seas is set to be We Will Rock You, the Broadway musical inspired by rock band Queen. With Queen songs playing throughout the musical written by Ben Elton, the story follows the exploits of a group of Bohemians living in a nightmarish dystopian society – trying to restore the concepts of free thought, music and fashion. 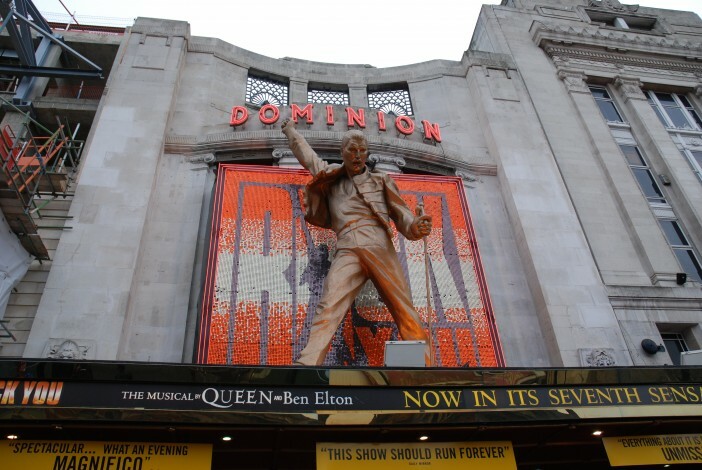 The show debuted on the West End in 2002, becoming the Dominion Theatre’s longest-running musical before closing in May 2014. Band members of Queen have regularly performed with the musical over the years, although it remains to be seen whether Brian May and Roger Taylor will make an appearance on the Anthem of the Seas. Another show, The Gift, will also be performed in the Royal Theatre – described as ‘a musical journey of fantasy and illusion that begins one stormy night with the arrival of a magical gift’. Performances aboard the Anthem of the Seas will be the first for this specially-produced play. The Two70 lounge will also receive a specially-produced performance. Spectra’s Cabaret takes full advantage of the robotic screens of the lounge – projecting digital imagery onto the screens, blended with pop music. Images courtesy of By Fallschirmjäger (Own work) via Wikimedia Commons and Royal Caribbean Press Center. With just 11 days until the launch of the Anthem of the Seas, we turn our attention to the on-board entertainment – in particular the live shows which are to be performed on the ship during her maiden season on the seas.